Sports posters for college with a retro look to them provide a different take on the classic sports poster. This more understated design provides a unique look for your college wall decor and is therefore a different and cool item for college to include as part of your dorm decor. 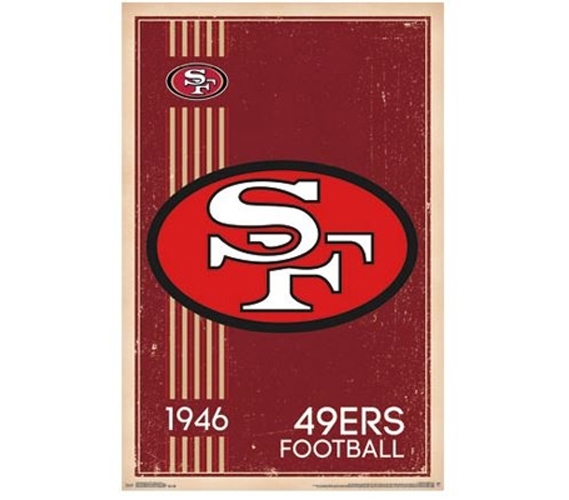 While it's true that dorm supplies with your favorite sports team's logo can be found in abundance if you really search (there's bound to be a twin XL comforter and some matching XL twin sheets with a 49ers logo on them somewhere), that could be taking it a bit far, even for die-hard fans. So instead, include this San Francisco 49ers - Retro Logo (1946) Poster as part of your wall decor for dorms.